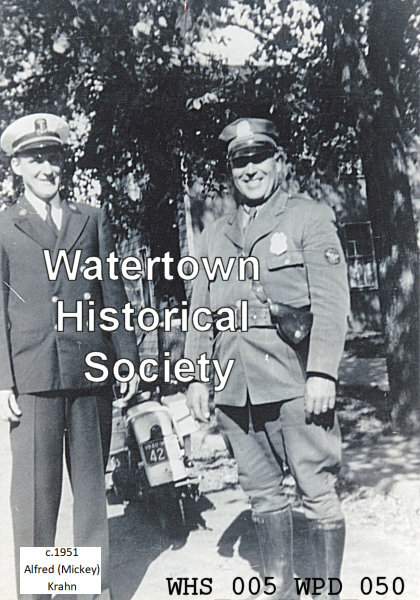 Up to 1842 Watertown operated under a county system of government and in April of that year Watertown held its first election for town constables. Harris Gilman and Eli H. Bouton were chosen. Joseph Giles was one of the early day police officers in Watertown. He was sheriff of Jefferson County many years ago, deputy sheriff, constable, in fact held office most all his life in Watertown. Joe was always able to manage the tough boys who came to town . . . 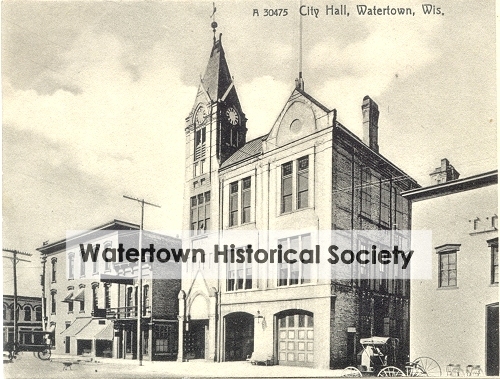 In 1853 Watertown was incorporated as a city, and from then on operated the law and order department, with justices of the peace, city marshals and constables. There were justices of the peace in Watertown and sometimes two or three constables in a ward. 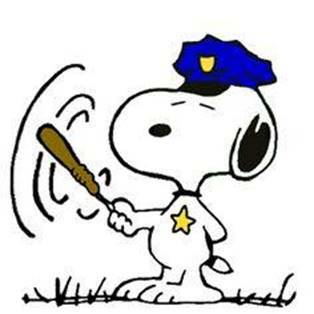 Occasionally in an old city directory one or two would be identified as policemen. 03 03 . . . Section 7. The mayor shall be the chief executive officer and head of the police of the city. It shall be his duty to recommend in writing to the city council such measures as he may deem expedient. He shall keep the seal of said city, sign all commissions, licenses and permits which may be granted by the city council; he shall endeavor to maintain peace and good order, and see that the laws of the state and ordinances of the city are observed and executed; he shall have the power to administer oaths or affirmations, and to take and certify acknowledgement of deeds and other instruments in writing. As a judicial officer, he shall have power, and by giving the bonds required by law, may exercise the jurisdiction of justice of the peace, and to prevent or suppress riot or other public disturbance, by may appoint as many special constables as he may deem proper. In witness whereof I have hereunto set my hand a affixed the great seal of said state, at the capitol in Madison, this third day of March, A.D. 1853. 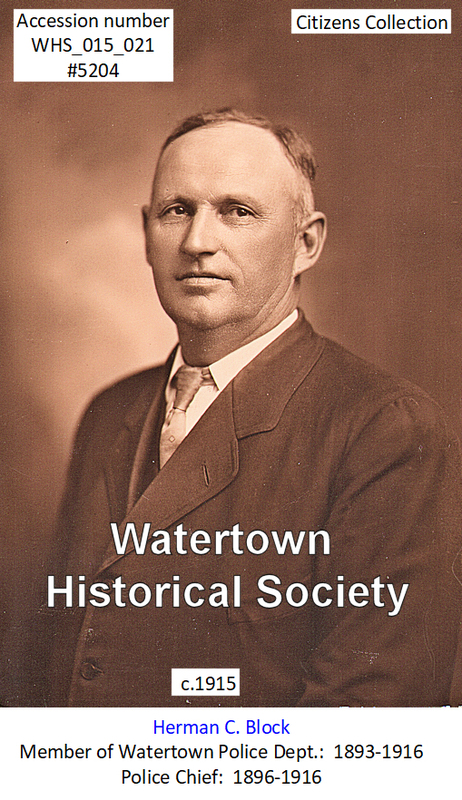 -- -- LUCIUS BRUEGGER became the first city marshal in 1853 when Watertown was incorporated as a city. Ald. Dennis moved that the Mayor is hereby requested to make out the account against the county for keeping criminals in the city lockup, and that the [Jefferson County] Deputy Sheriff, Joseph Giles, should be asked to certify on the account that he used the lockup for the county prisoners, and that such account be presented for allowance at the next meeting of the county board. Motion carried. 1. The common council, for the purpose of guarding against the calamities of fire, shall have power to prescribe the limits within which wooden building or buildings of other materials that shall not be considered fire proof, shall not be erected or repaired and to direct that all and any buildings within . . .
Gas supplied to Engine house and Lockup on S. First St.
A general desire seems to prevail among many of our citizens, and the matter will soon be submitted to the consideration of the Board of Street Commissioners as to the exigency of organizing a Sack Company, to act as a reinforcement to our present police force in cases of great necessity. Although the city charter expressly provides for an organization of this description [see 1869], still no force of this kind has yet been formed, and without it the efficiency of our Fire Department seems necessarily incomplete. The organization, as provided by the charter, is to comprise not more than twenty men, to constitute a part of the Fire Department and to be subjected to the full control of the chief engineer. August Charles Kerr, appointed night patrolman, becomes city marshal and first police chief; served 1885-1912. Sheriff Illing and Marshall Zautner had quite an exciting time arresting seven tramps who were quartered near the C. & N.W. Ry. depot. The tramps made a strong resistance, and the sheriff found it necessary to draw his revolver and for the marshal to use his billy in arresting them. They were finally captured and placed in the lockup overnight. Next day Commissioner Feld examined them. Four were bound over for trial to the circuit court for being tramps, and two for resisting an officer. The last of the gang was sentenced to the county jail for 15 days for using profane language. Night police officer sleeping while on duty, Zautner prepared formal complaint regarding. In our last issue we recorded the capture here of one T. W. Berry, supposed to be connected with two notorious characters in southern Missouri, named J. M. Officer and Geo. Scott, all three having escaped from the hands of Joseph M. Lyon, sheriff of Douglas county, Missouri, while in his custody to answer to the charge of the robbery of Samuel Turner’s store, at Arno, Missouri. Deputies Graewe and Arndt, returning from Jefferson afternoon, after leaving Berry in jail, spotted Officer and Scott, who had got on board at Janesville. The pair left the train here and started up town, followed by our officers and Sheriff Hibbard. Officer and Scott went into the Watertown post office and enquiring for the same mail that Berry had gave assurance to the officers that they were on the right track. One was arrested in front of Stallmann’s and the other at the corner of Second Street. The prisoners attempted to draw revolvers, both being well armed, but Deputy Graewe and his assistants were too quick for the fellows. The Missourians were taken down to Jefferson by the 4 o’clock freight and lodged in jail. Monday Sheriff Lyon, accompanied by Mr. Turner, identified the prisoners and a requisition having been obtained from Gov. Hoard, they started back with their prisoners yesterday morning. A reward of $75 was offered for the arrest of these men by Sheriff Lyon and Deputy Sheriff Graewe has received his money. About $200 was stolen from Turner’s store, but the prisoners are also wanted by the sheriff of Wright county, Missouri, for breaking into the county treasurer’s office and taking $7,000. They are a hard and desperate gang and there is no doubt they belonged to the Jesse James desperadoes. After committing the burglary at Arno the fellows were tracked to Memphis,Tenn. 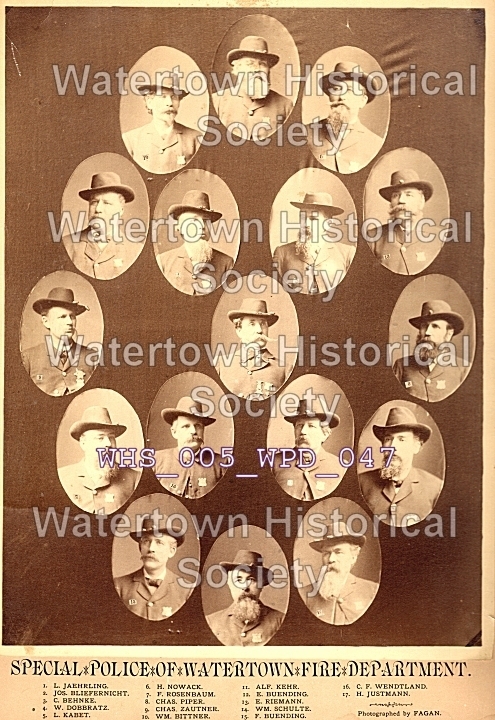 about March 31; from there Sheriff Lyon dispatched to Deputy Graeve that these men would be in Watertown about a certain time, which happened to correspond to very nearly the exact day when they did put in their appearance here. 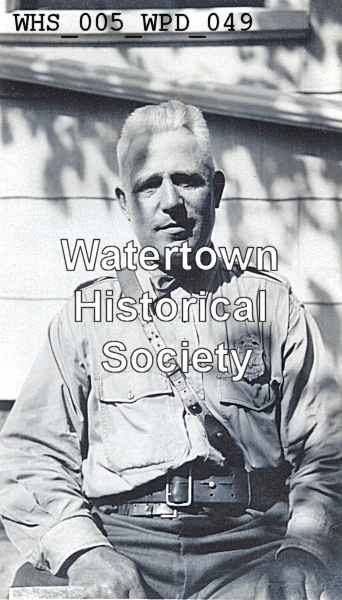 Watertown's first Chief of Police in the modern sense of that term was the late Herman C. Block. He was first named in 1896 and served by appointment of the City Council from 1903 to 1910, when he was appointed to the same position by the Board of Police and Fire Commissioners, serving until 1916 when he resigned and was succeeded by Charles Pieritz. Mr. Block became a Milwaukee Road detective after leaving his position here. His home for many years was at South Fourth and Market Streets, the site now  occupied by the office building of Dr. A. C. Hahn, Dr. A. C. Nickels and Dr. Vernon P. Smebak. At about 2 o'clock Sunday morning Officer Lucius Bruegger shot and killed Gustave Dumpke near the corner of West Main and North Warren streets. Apparently the deed was committed in self-defense. It is said that Dumpke, together with two companions, Edward Gruel and Henry Saum, had been drinking and carousing downtown Saturday night and the police warned them to desist and retire to their homes. They had proceeded a portion of the way when Officer Krueger, on his return from the Junction, came across them at the place above mentioned. The men were still boisterous and noisy and Bruegger threatened them with arrest unless the disturbance ceased. Thereupon the three attacked the officer, knocking him down, taking away his billy and unmercifully pounding him. Bruegger fought bravely, but was badly used up, the injuries about his head being terrible and resulting in much loss of blood. While lying on the ground and only as a last resort, he claims, he pulled his revolver and fired, the bullet hitting Dumpke in the right neck, passing upward and lodging in the left temple. Last week Thursday a tramp with his arm in a sling was going around the city begging for money. He claimed that he scalded his arm while working at Janesville and was endeavoring to reach his home in Green Bay. Marshal Zautner took him before Dr. Werner, who examined his arm and agreed with the marshal’s opinion that the scar thereon was not induced by scalding, but was self-inflicted for the purpose of playing on the sympathy of the public, and thereby extracting money from people who might sympathize with him. He was then placed in the lockup, where he made a confession to the marshal, saying that he produced the scar by placing some acid upon his arm for the purpose above stated. He was taken before Justice Stacy and given ten days solitary confinement in the county jail, during which time he will have a chance to reflect on the heinousness of his crime.